We all know that Cape Town has been named one of the most beautiful cities in the world but did you also know that the Mother City is the ultimate city for foodies too? 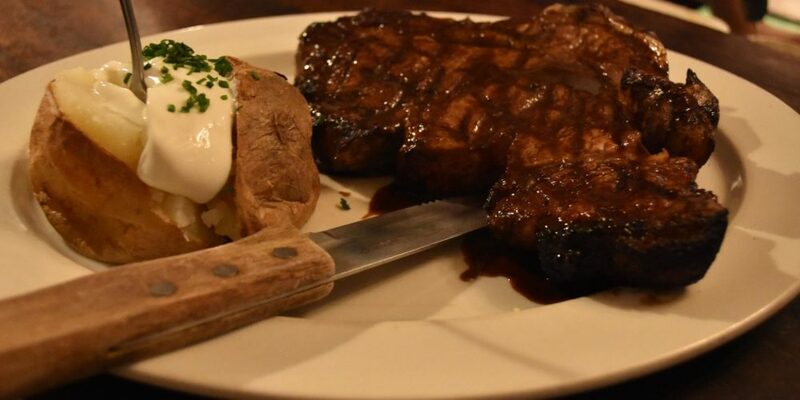 From juicy steaks and authentic Ethiopian to fresh sushi and South African speciality bunny chow, we’ve got it all but with so much choice, where do you start? You can’t come to South Africa without experiencing a braai – and while our very own every Wednesday is pretty great (not biased at all obviously…) – Mzoli’s is hard to beat. 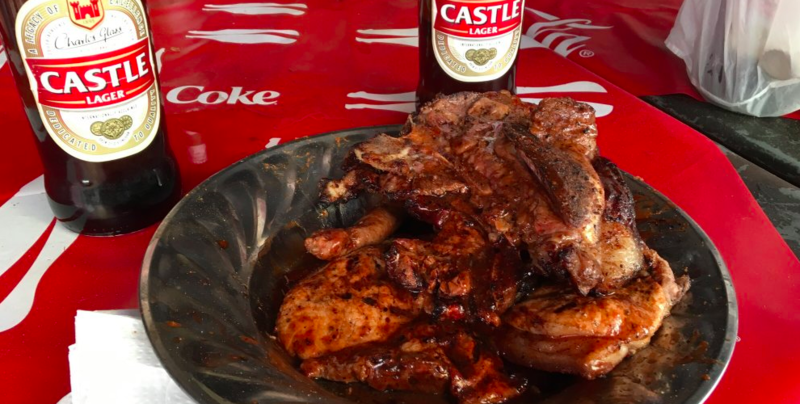 Located in Gugulethu, Mzoli’s provides a fun dining experience – you pick your own meat from the butchery and take it to the grill to be cooked in their secret sauce! We recommend heading there on a Sunday if you’re wanting to turn up to a party vibe and mix with other travellers and locals alike – good times guaranteed. 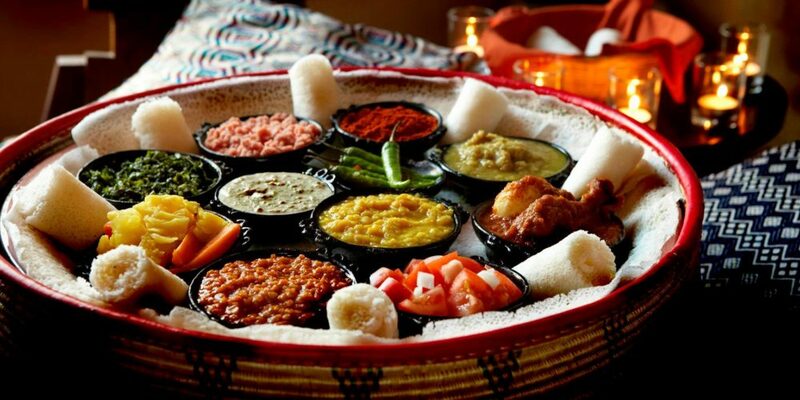 Ethiopian cuisine is famous for its spicy meat dishes and extraordinary flavours and one of the best places to sample this in Cape Town is this popular restaurant on the corner of Church and Long Street. Pairing some of the best food around with a unique communal dining experience, Addis in Cape promises to be one of the most memorable stops on your culinary tour of the city. Biesmiellah has been serving both locals and tourists alike for over 40 years and is one of the most unique (and popular!) places in the city to try authentic Cape Malay food. 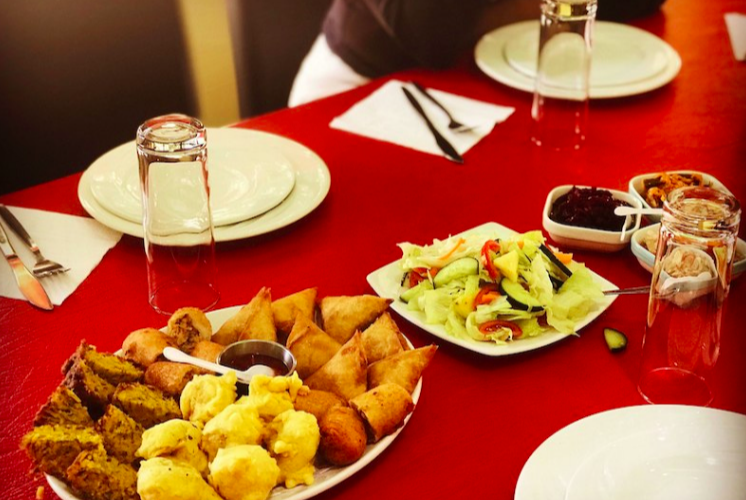 From denningvleis to tomato bredie to bobotie, this quaint restaurant offers you the opportunity to sample a range of spicy dishes which are sure to get those taste buds tingling. With quirky interiors, a laid-back atmosphere and infamously friendly staff, there’s little wonder this popular place has been around for so long. 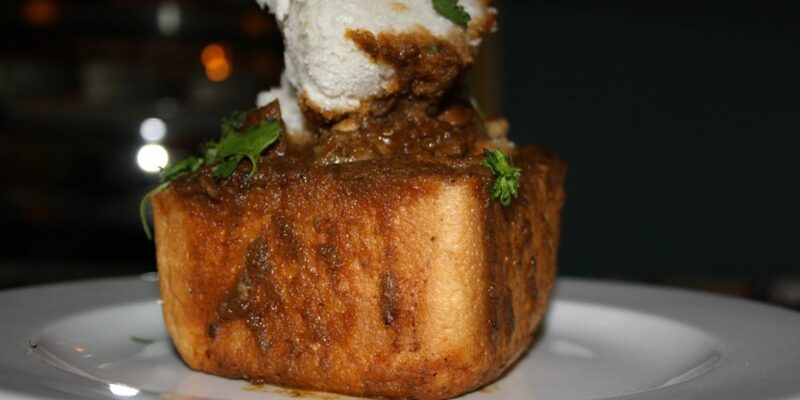 If you don’t manage to head over to the east coast to the city of Durban, you simply must sample a traditional curry bunny chow at Vandiars. Unsure of what a bunny chow actually is? Well, it’s a South African fast food dish consisting of a hollowed out loaf of bread filled with curry (yes it is as good as it sounds) and the popular Indian restaurant of Vandiar’s specialises in this carb heavy delight. Nestled in the inner city in Dunkley Square, this place is ideal to visit after a long day of exploring Cape Town – just sit back, relax and carb up. 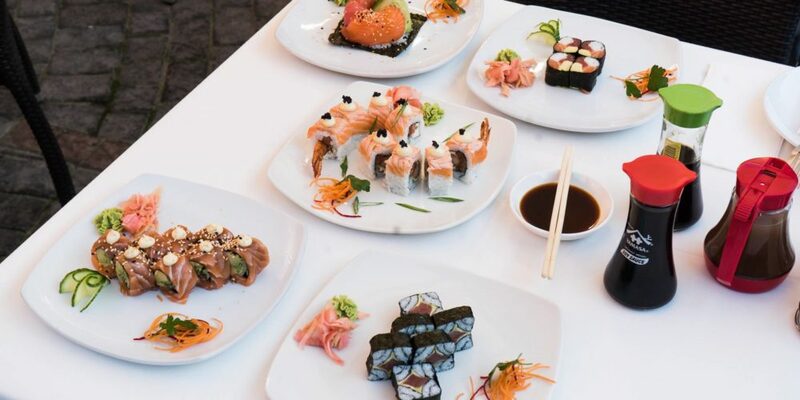 Cape Town has a tonne of great sushi spots to get your fix, and Beluga is one of the best. Tucked away in The Foundry, a 100 year old art-deco setting that could easily be mistaken for a slick New York style loft, this venue is renowned for its quality food and relaxed vibe. It’s bank-friendly specials and live music Saturdays make it one of the trendiest spots in town and one thing is for sure, you’ll be wanting to snap away to get that gram shot all night. For a sweet treat while exploring the Mother City, there is no better place than Honest Chocolate. 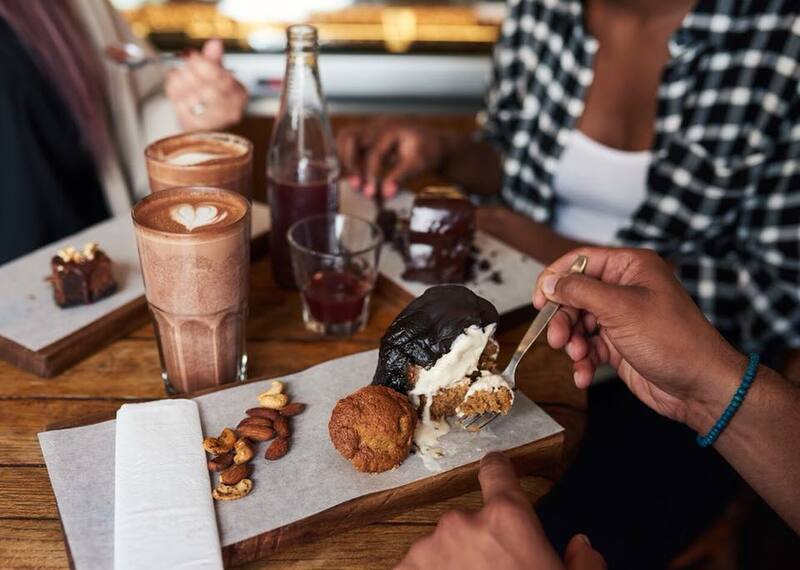 In a prime city centre location, Honest Chocolate offer a variety of artisanal indulgences including brownies, banana bread bunny chow and tarts – their hot chocolate is our personal favourite. The quaint cafe opens out onto a peaceful courtyard where you can sit back, chill out and consume yourself in chocolate heaven. It also leads to the top secret Gin Bar which opens later in the day but ssshh, that’s just between us and you. 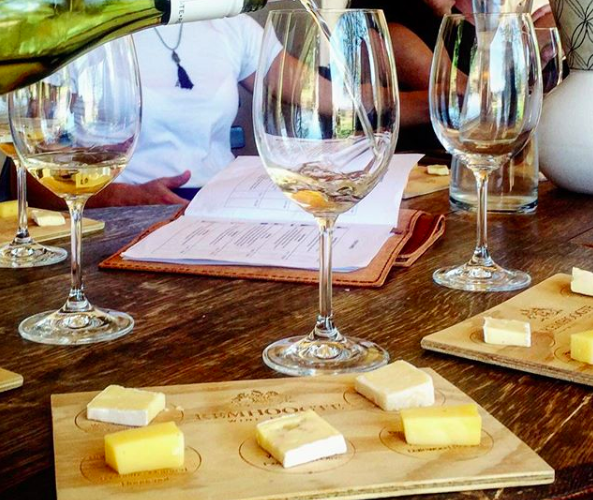 Okay, so this is kind of cheating since Stellenbosch is it’s own town and not *technically* in Cape Town itself but what’s a trip to the Mother City without going cheese and wine tasting? Home to some of the most prestigious wine farms in the country, Stellenbosch has a ton of incredible tastings to try out (we won’t tell anyone you went to more than one if you don’t). Remember the rule though, you have to at least pretend you’re interested in smelling the wines’ aromas before drinking it, okay? 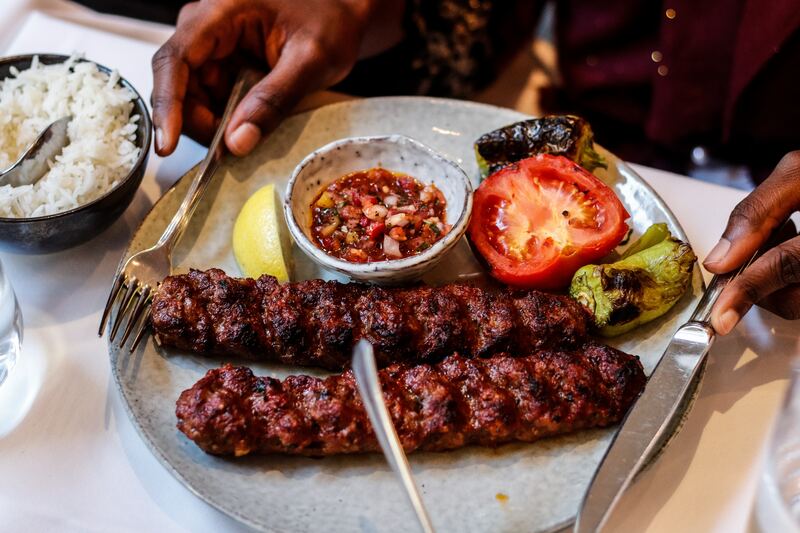 We don’t know about you but after writing this post, our stomach’s are rumbling and we’re ready to grab a bite to eat… Which food will you be ticking off the list first? Remember to use the code HAPPYDAYS when booking directly for a 20% discount!